Originally published under the title "Middle East Studies Association (as Usual) Singles Out Israel for Attack, Excuses Palestinian Perfidy." The Middle East Studies Association gave up all pretense of being a scholarly organization when it was taken over by the followers of Edward Said in the 1980s, and began propagating Orwellian interpretations of Middle East history and politics to advance a political agenda that promotes or rationalizes Islamism, parrots Palestinian propaganda, and engages in unbridled attacks on Israel's legitimacy and the West. 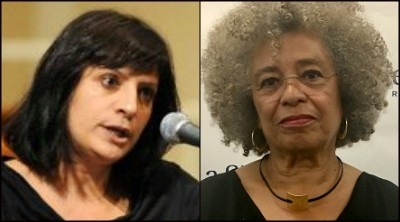 Nowhere was this more evident than last month's annual conference of the Middle East Studies Association (MESA) in Washington, DC, at the overflow panel, "Thinking Palestine Intersectionally," featuring Sherene Seikaly, Noura Erekat, Samera Esmeir, Judith Butler and Angela Davis. I don't recall hearing the word "scholar" in the introductions and discussion, but the word "activist" was repeatedly used to describe the participants and their work. The panel was organized by Seikaly, a historian from UC Santa Barbara, who is a co-founder and co-editor of Jadaliyya, "an independent ezine produced by the Arab Studies Institute." If you visit the site, you will be invited to sign up for a newsletter and will be requested to choose your country. It appears that every country in the world is listed except one — Israel. One country that does not exist — Palestine — is listed. Noura Erekat, a co-editor of Jadaliyya, is a law professor who admits that she is an activist. A gifted speaker, Erekat rattled off the standard leftist clichés about Israeli occupation, militarism, racism and settler colonialism. She displayed her ignorance of basic history by claiming armed groups took control of the PLO in 1968. Erekat denounced Israeli actions in Gaza, omitting any reference to the Hamas rocket bombardment that precipitated the IDF operations, lauded convicted liar and terrorist Rasmea Odeh as a freedom fighter who empowered Arab women, and defended the virulent Israel-hater Linda Sarsour. Perhaps the best example of her extremism was repeating the big lie that Israel murdered Yasser Arafat. Before getting to the predictable bashing of the Trump administration, Erekat labeled US support for Israel "emblematic of everything that is wrong with the United States." She praised the Black Lives Matter movement for doubling down on support for Palestinians because of their shared opposition to "structural racialized violence." 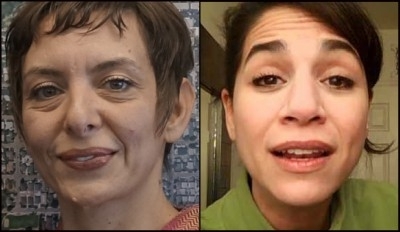 The audience laughed when she ridiculed a feminist whose New York Times op-ed expressed concern that "my support for Israel will bar me from the feminist movement" because, inter alia, the International Women's Strike platform called for the "decolonization of Palestine" as part of "the beating heart of this new feminist movement." Erekat called American support for Israel "emblematic of everything that is wrong" with the US. Erekat bragged that the Palestinian cause is rising, while support for Israel declines. As evidence, she cited a Pew survey revealing Democrats as less sympathetic to Israel and more supportive of Palestinians than Republicans. But one poll is hardly a trend and, as I've written elsewhere, Democratic support for Israel is actually at the same level that it was in the 1970s. 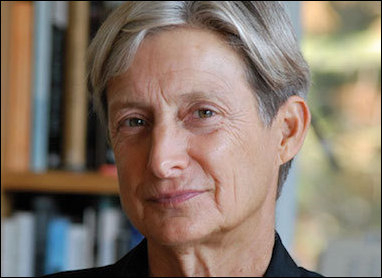 Panelist Judith Butler, whose field is comparative literature rather than Middle East studies, might be more aptly called a specialist in contortion studies, given her effort to redefine antisemitism to exclude BDS. 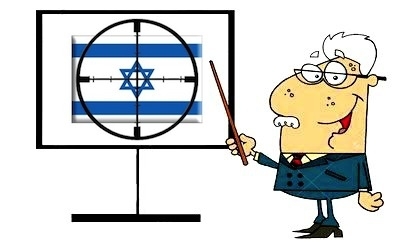 Butler claimed that critics of Israel are not antisemitic, but Zionists could be antisemitic if they support Israel. Angered that people she finds abhorrent, such as Steve Bannon, would be lauded as pro-Israel, she was nostalgic for the day when the UN voted to equate Zionism with racism, and was unhappy with its 1991 repudiation. "It is important to distinguish between anti-semitic speech ... and speech which makes a [Jewish] student uncomfortable because it opposes a particular state," Judith Butler has written. As part of her jujitsu interpretation of BDS, Butler maintained that BDS advocates, as supporters of social justice, must oppose antisemitism, as if there is no contradiction in supporting a campaign denying Jews the right to self-determination in their homeland while condemning antisemitism. Her explanation? One should oppose racism and colonialism, but the boycott targets only Israeli "institutions," not Jews or Israelis. Setting aside her ignorance of "colonialism," and Zionism's historic opposition to it, who does she imagine that BDS will harm other than the Jews and Israelis who staff these "institutions"? Panelist Samera Esmeir, who teaches rhetoric at UC-Berkeley, acknowledged that artists in the Palestinian Authority (PA) equated BDS with censorship. Nevertheless, she advocated BDS and rejected normalizing relations with Israel. In this, she and other BDS proponents proffer an authoritarian cult wherein professors impose their views on Palestinians from the comfort of Western universities, with no regard for the Palestinians' welfare. Their protestations of concern for the latter's human rights would be far more convincing if they denounced the PA's corruption and human rights abuses, the imposition of sharia by Hamas in Gaza, the mistreatment of Palestinians in Lebanon, and their slaughter in Syria. Angela Davis, the final panelist to speak, is a celebrity communist activist with no training in Middle East studies. Her presentation's only connection to the topic was her reference to the "intersectional insight" of the UN's equation of Zionism with racism, which activists had expected to be the beginning of the end for Israel. She lamented its 1991 repeal, which she blamed on the Reagan-Bush era and the consolidation of global capitalism. There was no time for Q & A, but it is unlikely that the panelists would have been challenged by the overflow audience of several hundred Stepford students and faculty who applauded wildly for Davis's incoherent remarks, Butler's empty assertion that Israel's claims to represent the Jewish people do not make it true, and Erekat's declaration of "mad love" for convicted terrorist Rasmea Odeh. And so MESA, true to form, singled out Israel for opprobrium with blatantly pro-Palestinian, anti-American panelists who excused terrorism, antisemitism and ahistorical revisionism. As a barometer of the American academe's attitude toward the Jewish state, MESA's accuracy is as undeniable as it is troubling. The good news is that MESA was essentially forced to shelve any endorsement of BDS by what its board saw as the greater necessity of condemning the immigration ban. Normally, hypocrisy is no obstacle to MESA's biased approach to politics, but apparently its leadership recognized that calling for a boycott of Jews while attacking what they claim is a ban on Muslims was a step too far. Mitchell Bard, a Campus Watch Fellow, is the author/editor of 24 books, including the 2017 edition of Myths and Facts: A Guide to the Arab-Israeli Conflict, The Arab Lobby, and the novel After Anatevka: Tevye in Palestine.